Objectives The purpose of this qualitative study was to explore the infant safe sleep beliefs and occupational practices of lactation consultants and to determine if lactation consultants give advice to clients that is consistent with the American Academy of Pediatrics’ recommendations on this topic. Methods Focus groups were conducted with certified lactation consultants in two cities in Ohio. Participants discussed the role of lactation consultants, the infant sleep advice they provide to women, their views on the American Academy of Pediatrics’ infant safe sleep recommendations and related policies, and perceived benefits and barriers associated with providing infant safe sleep education as part of their work. A member-checking session was held to ensure the credibility of the findings. Results Four focus groups were conducted with 22 certified lactation consultants between September and November 2015. 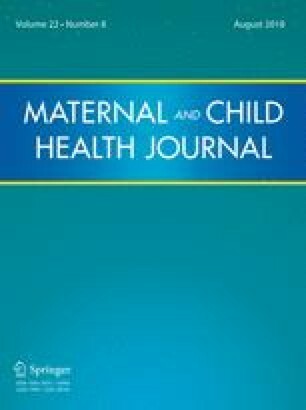 Major themes that emerged included: lactation consultants’ beliefs regarding the importance of bedsharing for supporting breastfeeding success; their disagreement with the infant safe sleep recommendations of the American Academy of Pediatrics; their frustration with policies that restrict consultants’ ability to discuss bedsharing; and the impact of infant safe sleep policies on their work and the advice they provide. Conclusions for Practice Lactation consultants interact with mothers of newborns at a critical time for infant safe sleep decision-making and may influence a woman’s choices related to this topic. Women may not be receiving messages from lactation consultants that are consistent with the infant safe sleep recommendations of the American Academy of Pediatrics. The funding was provided by The Ohio State University College of Public Health and The Center for Injury Research and Policy of the Research Institute at Nationwide Children’s Hospital. A research grant to support this study was provided by The Center for Injury Research and Policy through Grant #1R49 CE002106 from the Centers for Disease Control and Prevention. Nichole L. Hodges also received funding to support this research from the Division of Health Behavior and Health Promotion in the College of Public Health at The Ohio State University. The contents are solely the responsibility of the authors and do not necessarily represent the views of the funding agencies. Academy of Breastfeeding Medicine (ABM). (2008). ABM clinical protocol #6: Guideline on co-sleeping and breastfeeding. Breastfeeding Medicine, 3(1), 38–43. Retrieved from http://www.bfmed.org/Media/Files/Protocols/Protocol_6.pdf. American Academy of Pediatrics, Taskforce on Sudden Infant Death Syndrome. (2011a). Technical report. SIDS and other sleep-related infant deaths: Expansion of recommendations for safe infant sleeping environment. Pediatrics, 128(5). Retrieved from http://pediatrics.aappublications.org/content/early/2011/10/12/peds.2011-2285.full.pdf+html. Centers for Disease Control and Prevention. (2015). CDC wonder (wide-ranging online data for epidemiological research). Atlanta, GA: Centers for Disease Control and Prevention. Retrieved from http://cdc.gov/injury/wisqars/. Centers for Disease Control and Prevention. (2016). Sudden unexpected infant deaths and sudden infant death syndrome: Data and statistics. Retrieved from http://www.cdc.gov/sids/data.htm. Centers for Disease Control and Prevention. (2017). National Center for Health Statistics. Infant mortality rates by state, 2015. Retrieved from https://www.cdc.gov/nchs/pressroom/sosmap/infant_mortality_rates/infant_mortality.htm. International Lactation Consultant Association (ILCA). (2005). ILCA responds to policy statement by AAP Taskforce on SIDS. Retrieved from http://www.ilca.org/files/in_the_news/press_room/SIDSResponse.pdf. La Leche League International. (2014). Bedsharing quick start. In La Leche League International, Sweet sleep: Nighttime and naptime strategies for the breastfeeding family. Retrieved from http://www.llli.org/docs/0000000000001Tear_offs/bedsharing_quickstart.pdf. McKenna, J. (2016). Safe cosleeping guidelines. Retrieved from http://cosleeping.nd.edu/safe-co-sleeping-guidelines/. Ohio Department of Health. (2017). 2015 Ohio infant mortality data: General Findings. Retrieved from https://www.odh.ohio.gov/-/media/ODH/ASSETS/Files/cfhs/OEI/2015-Ohio-Infant-Mortality-Report-FINAL.pdf?la=en.